Colpac Ltd was founded in the 1930’s and is now synonymous with producing creative food packaging solutions both in the UK and worldwide. 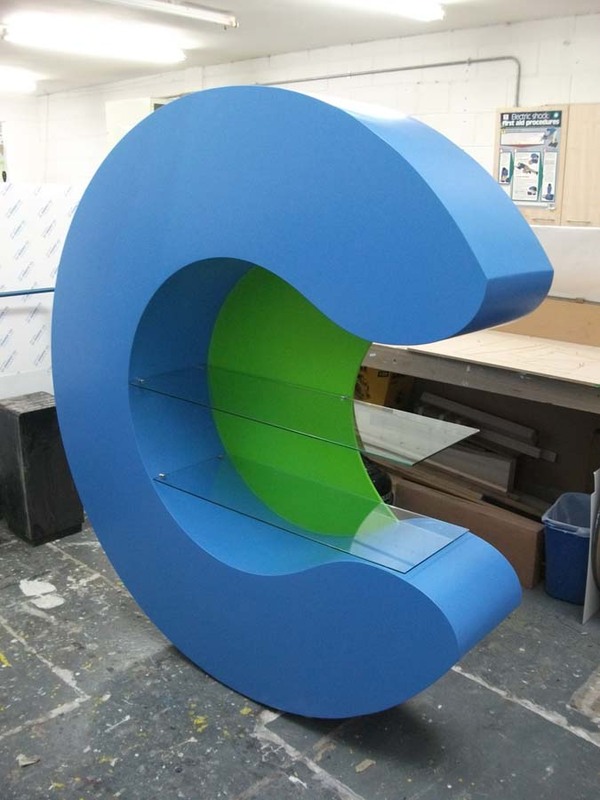 C Creative, the packaging design specialists for Colpac Ltd, designed the big ‘C’ shelving unit to display their many products. 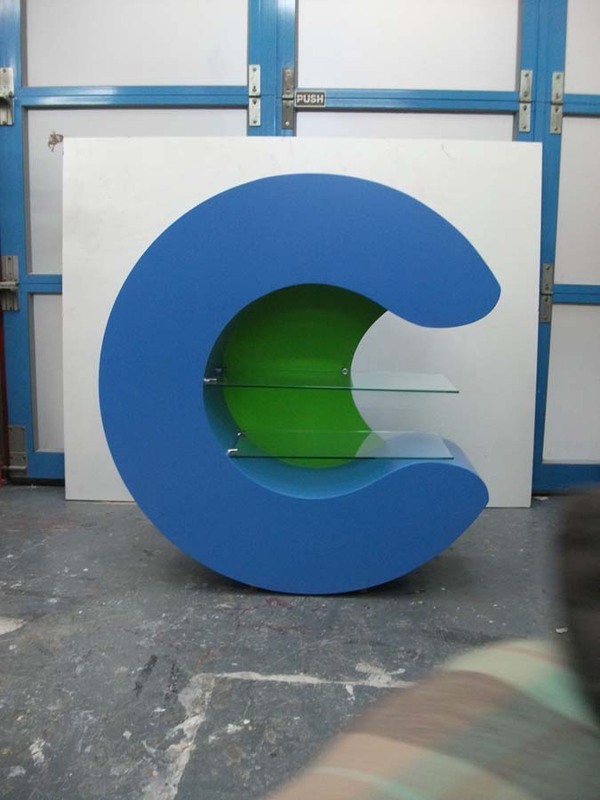 We machined the ‘C’ shape shelving displays using 6mm bendy ply finished with a durable two pack paint finish to give a hard surface. For display purposes we then fitted the two glass shelves. 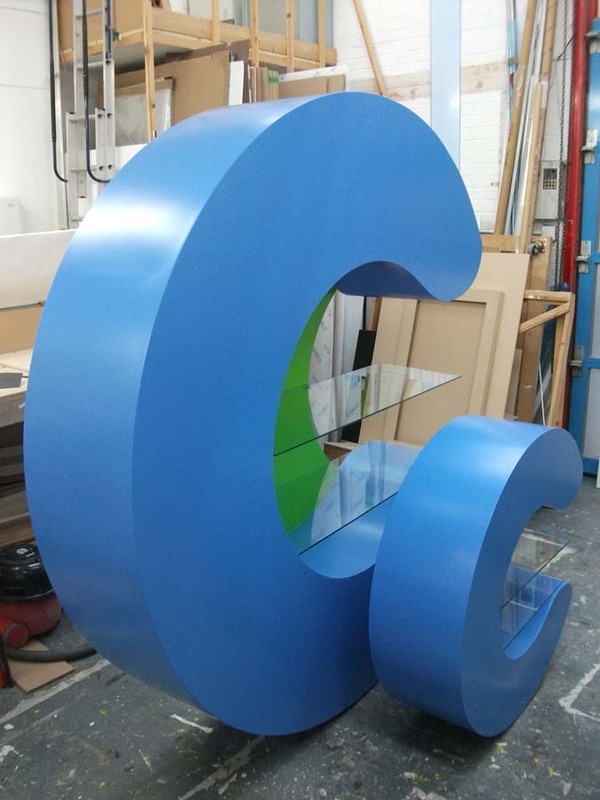 We continue to work with Colpac and the C Creative team with further developments and additions to the ‘C’ shape display.